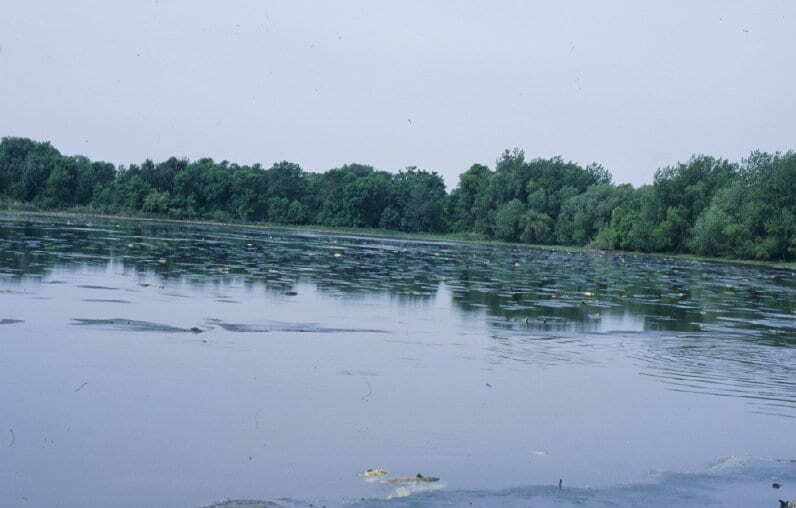 The Point au Sable Natural Area is an unmodified estuarine wetlands, one of the few in the Lake Michigan ecosystem. 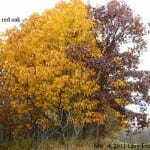 This area plays a very important role for the migratory birds passing through. This is the main reason why this area has stayed protected from development. 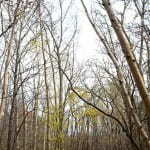 In recent findings, it was shown over 200 different bird species in one year have stopped to enjoy the Point au Sable Natural Area. 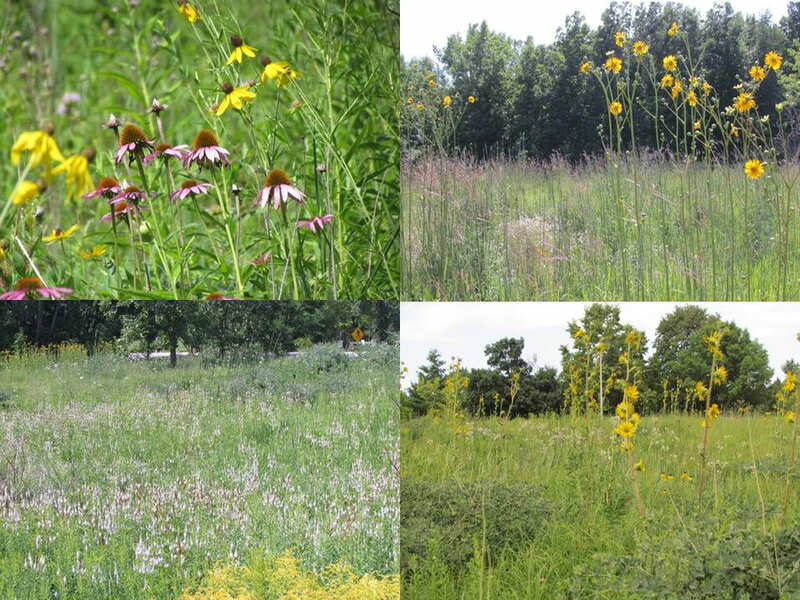 For more information about the Point au Sable Natural Area click on the link http://www.uwgb.edu/biodiversity/natural-areas/pt-au-sable/. 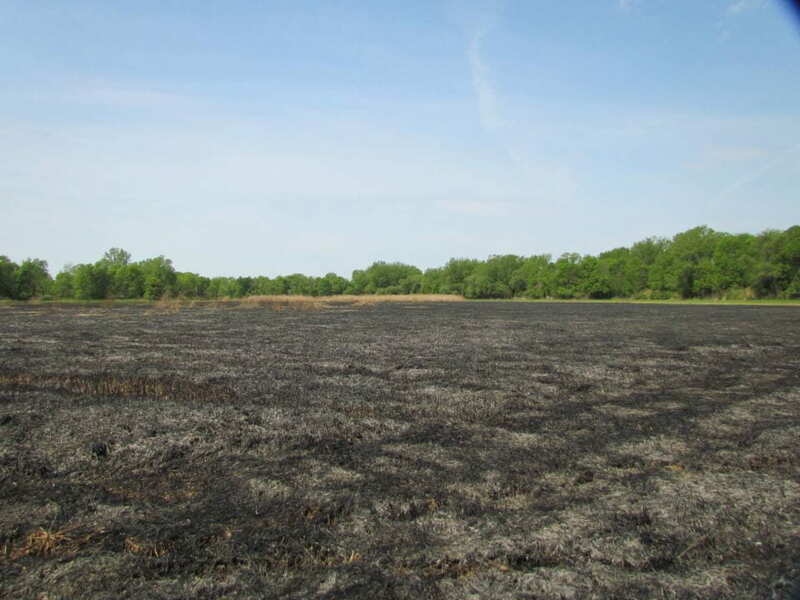 Recently the Point au Sable Natureal Area was burned in an effort to try and stop the Phragmites invasion. 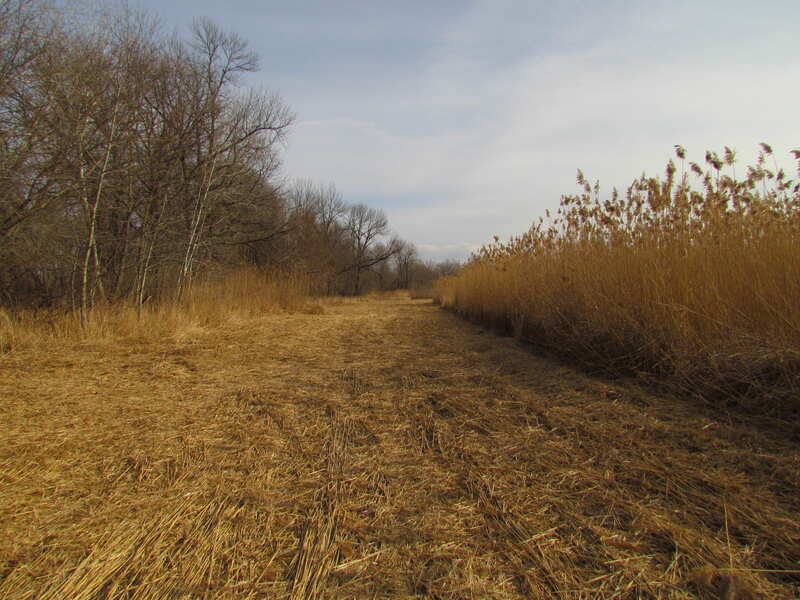 Phragmites australis, also known as the common reed, is an exotic invasive species. It can grow up to 3-4 meters. It was estimated the flames reached 75-100 feet. 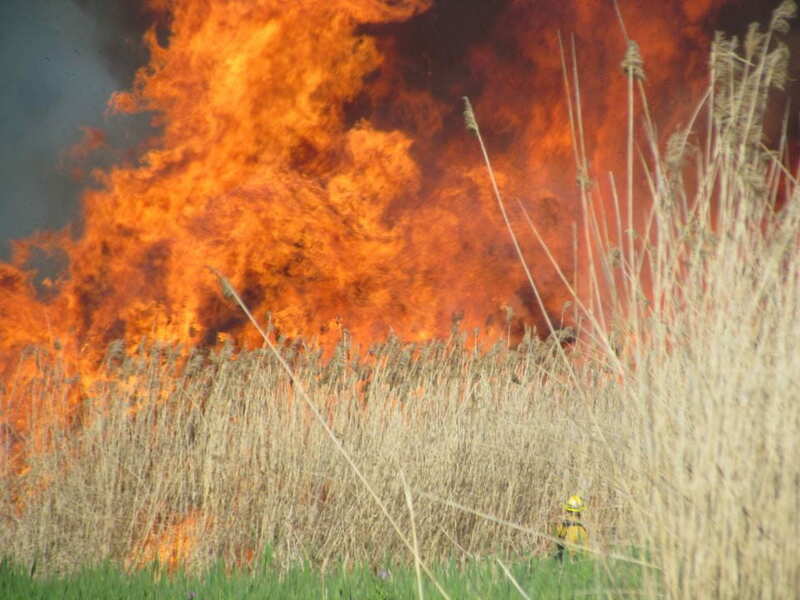 If you look closely you can see a burn crew member just at the base of the Phragmites. 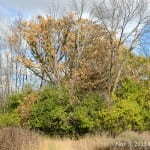 For more detail on Phragmites australis and it’s growth patterns click on the link http://www.uwgb.edu/biodiversity/herbarium/invasive_species/phraus01.htm. The final product after the burn. We are now able to see straight across the lagoon. Looking at the photos below we can see that Phragmites has greatly increased as the water levels have decreased over the years. We have taken the first steps in burning Phragmites and we will continue to treat the Point au Sable area by using herbicides to control the Phragmites population. Today, Marty Jacobson, Josh Martinez and I conducted bird point counts at Point Sable for sites 3, 5 and 9. Soon after arriving, we had nice looks at a lone Pine Siskin (Spinus pinus) from point 3. 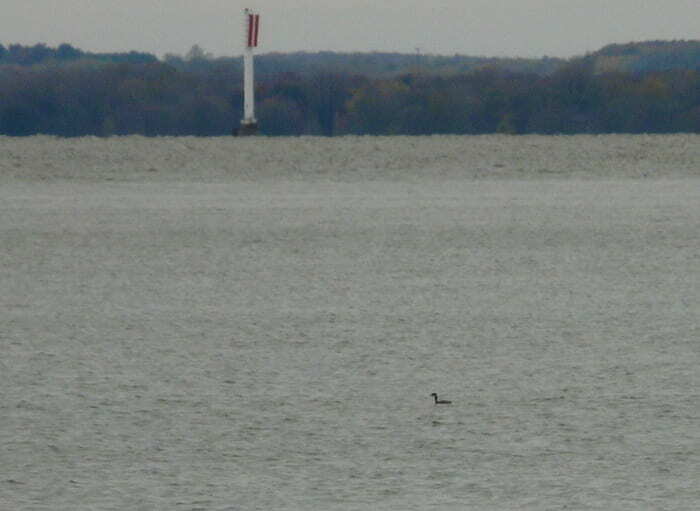 When we reached the end of the point, we could see many distant ducks but there was also a Common Loon (Gavia immer) fairly close in (see photo below). Also at the point, we had 9 swans fly over. They were either Tundra (Cygnus columbianus) or Trumpeter (Cygnus buccinators), but we were not sure which. Several other interesting flyovers included 10 Bonaparte’s Gull (Chroicocephalus philadelphia) at point 5, 4 Horned Lark (Eremophila alpestris) from point 6 and a Rusty Blackbird at point 3. Migrant passerines included Fox Sparrow (Passerella iliaca) and Hermit Thrush (Catharus guttatus). Marty asked if Josh or I ever see owls at Point Sable and almost on cue we found two Great Horned Owls (Bubo virginianus). One of the last birds we saw was a Belted Kingfisher (Megaceryle alcyon) fishing in Wequiock Creek. 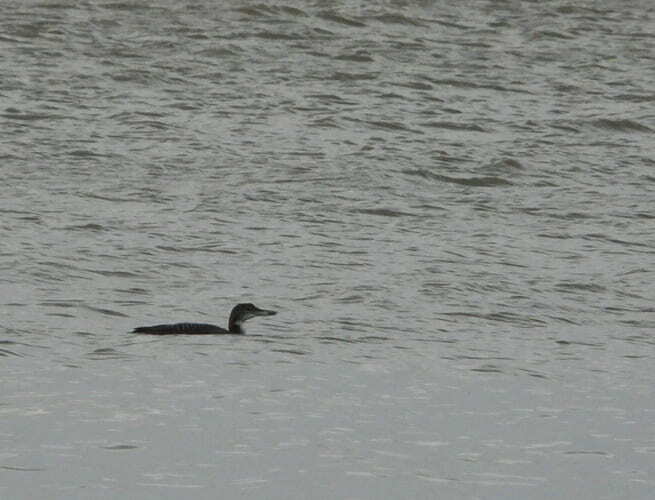 Common Loon at Point Sable. 3 November, 2011. Josh Martinez and I conducted point counts at several Point Sable sites this morning. The sky was overcast and the wind speed was around 10 mph. There were quite a few ducks visible from the end of the Point but none were close enough to identify. The most exciting bird of the day was a Horned Grebe (Podiceps auritus) on the bay just off the outlet of Wequiock Creek. We also saw 3 Hermit Thrushes (Catharus guttatus), a Bald Eagle (Haliaeetus leucocephalus) and several species of woodpecker including a very cooperative Downy Woodpecker (Picoides pubescens; see photo). Overall, it was a very quiet morning for birding. 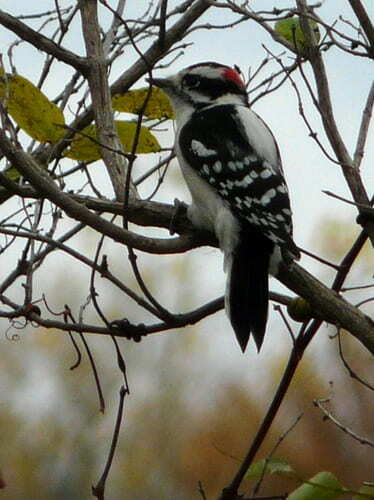 Male Downy Woodpecker, Point au Sable, October 26, 2011. Winds of up to 69 mph swept through Door County on Thursday, September 29th causing extensive damage, especially on the west side of the county. Thousands were without power for two days and Highway 57 between Jacksonport and Baileys Harbor was closed through Saturday. All the state parks located in the county were closed for the weekend. 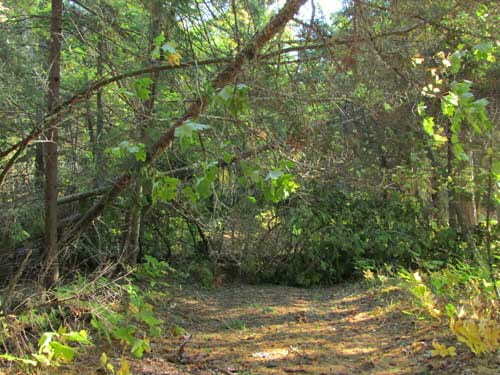 Toft Point natural area, managed by the Cofrin Center for Biodiversity, is located in Baileys Harbor, WI and was in the path of the windstorm. 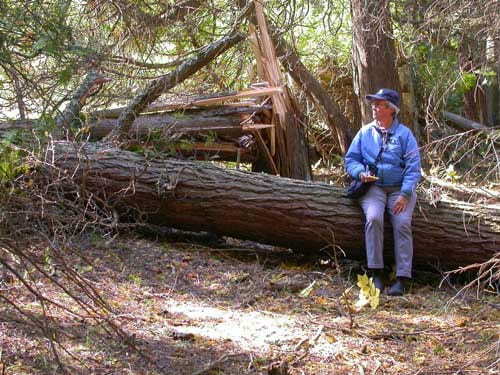 At least 24 downed or broken trees were counted by the Friends of Toft Point as they inspected the trails on Sunday. Toft Friend Charlotte Lukes sits on a fallen tree at Toft Point Natural Area. Photo by Roy Lukes. 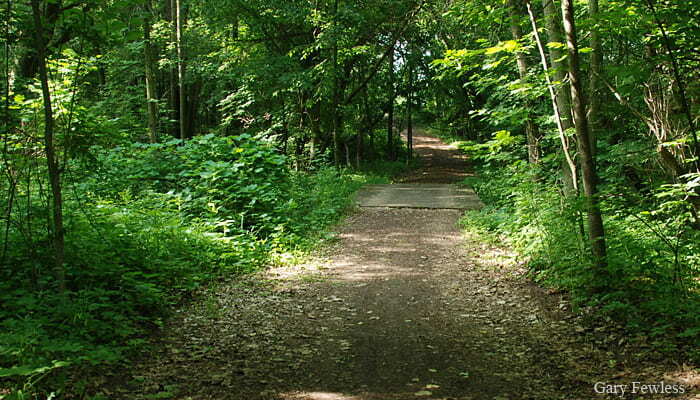 Josh Martinez, land steward for the Cofrin Center for Biodiversity will be heading up with UW-Green Bay facilities staff to clear the road and trails at Toft Point on Friday, October 7th. We ask that people remain off the trails and road until after trees can be removed to avoid injury from leaning trees and branches. Trees leaning over the trail at Toft Point. Photo by Roy Lukes. In a short amount of time, undergraduate student, Aaron Groves, and I were able to trek over to Point au Sable and perform just one point count along the shoreline before the downpour of rain began! Upon arriving at the Point, we noticed that the landscape had changed drastically since we had last been there a few months ago. The shoreline was completely covered in the invasive Phragmites australis, making it nearly impossible to view the bay of Green Bay. Regardless, many of the small passerines did not seem to mind this invasive. We found numerous Black-capped Chickadees, Song Sparrows, and one Myrtle (Yellow-rumped) Warbler foraging within the Phragmites and using it for cover. We also observed the following species: Great Egret, Great Blue Heron, Mallard Duck, Canada Geese, Ring-billed Gull, Red-winged Blackbird, Common Grackle, Ovenbird, Downy Woodpecker, Gray Catbird, White-breasted Nuthatch, American Crow, Blue Jay, and American Robin. Upon hearing the chatter of the Belted Kingfisher and the ever-present European Starling, the rain slowly started to pour, at which point Aaron and I left for the day. 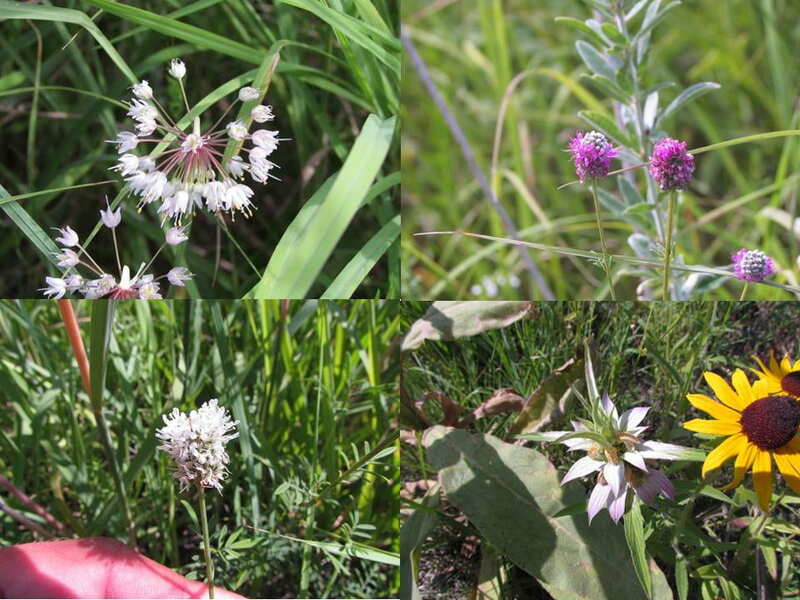 We observed a total of 19 species. With bright sunshine, nearly 60 degrees in temperature, and northerly winds over the weekend, we found many new species and the most total species observed for the season in one morning-a total of 59 species! We observed approximately a dozen Common Goldeneyes performing mating rituals off shore near a few American White Pelicans. A dozen Double-crested Cormorants, Canada Geese, Mallard Ducks, and screeching Caspian Terns passed along shore and overhead through the morning. Spotted Sandpipers and Sandhill Cranes also continue to use the Point. Despite many of the interesting species we observed today, we found a few broken American Robin egg shells, which we have found a few times around the Point. Sadly, the eggs might have blown out of different pair’s nests during some intense wind or rain storms that we have had this April and May. Of the newest arrivals were Red-eyed Vireos, Yellow-throated Vireos, Least Flycatchers, and Yellow-bellied Flycatchers! While I stumbled upon a Northern Waterthrush out in the open, Aaron spotted our season’s first Black-billed Cuckoo high in an aspen tree, laying fairly still along a branch. 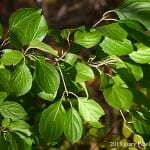 We later found it lower in a shrub, perhaps resting after arriving to the Point overnight. And one short of our record of total warbler species observed in one day for the season, we observed 13 total warbler species this morning, including Northern Waterthrush, Tennessee, Golden-winged, Magnolia, American Redstart, Palm, Blackburnian, Yellow, Yellow-rumped, Common Yellowthroat, Black-and-white, Ovenbird, and Nashville Warblers. We continue to observe Warbling Vireos, Rose-breasted Grosbeaks, Swamp Sparrows, Blue-gray Gnatcatchers, House Wrens, Bald Eagles, Baltimore Orioles, Song Sparrows, and many more interesting and magnificent species of birds.